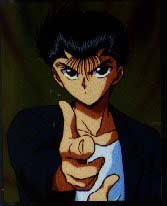 Yu Yu Hakusho is an anime series created from the manga authored from Mr. Yoshishiro Togashi. Togashi, a former follower of well-known manga artist Mr. Rumiko Takahashi who made illustrious creations like his success, Ranma ½, made the YYH series because of the inspiration from his mentor. His first crafts were mainly adult-oriented with twists of demons and the like. To provide the vast audience with his works, he decided to create Yu Yu Hakusho, a "wholesome" creation that still centered around his fantasy, the world of demons. Manga readers quickly turned down his work when the main character had his demise at the beginning of the story, but when he added the twists of the spirit world, demon world and such, the manga went on to become one of the greatest ever made. In turn, the manga developed into one of the popular animes around. Yusuke dies saving a young boy from being run over by a car. He then gets a chance to live again by Koenma, the prince of the ReiKai (spirit world) but on one condition, which is to be a detective for the ReiKai. With the aid of Botan Yusuke accepts and returns to life and to his girlfriend, Keiko. His first mission as a detective was to recover the stolen treasure of the ReiKai. 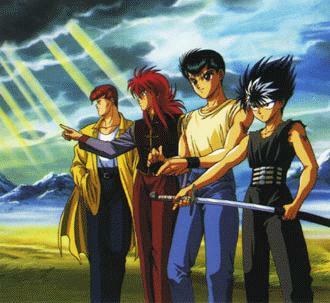 He meets the thieves, Kurama and Hiei, and later on became his allies. Together with his best friend, Kazuma Kuwabara, The four of them became a team and accomplished several missions issued by Koenma. Later on they join a tournament together with Yusuke's teacher, Genkai to face Toguro, who once they beat during one of their missions. Unfortunately for them, Toguro did not show his true power and now must face his wrath in the tournament. After Genkai's death, Yusuke had revenge as he beat Toguro in the tournament. He wished for Genkai to be revived, which was fullfilled. Their next mission was to stop a man named Shinobu Sensui, former spiritual world detective, from opening a portal between the human world and the demon world. Yusuke dies in the encounter, but eventually came back to life as he had the blood of his ancestor, Raizen, a Class-S demon. (demons are ranked according to their powers, Class-D, C etc. with class-S being the highest)He did beat Sensui when his ancestor's help. 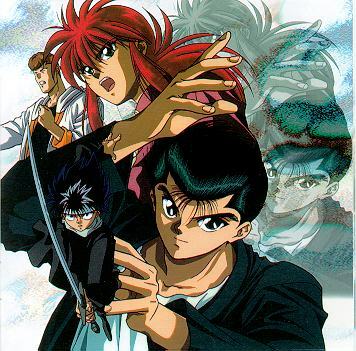 The latter part of the series was all about just Yusuke, Kurama and Hiei. All three of them were summoned by Raizen, Yomi and Mukuro respectively to the demon world to compete in a tournament with the winner becoming the new leader of the demon world. A friend of Raizen wins the said tournament, and Yusuke returns to the human world to finally live with Keiko, as the series ends. 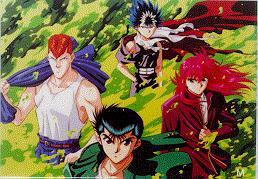 Yu Yu Hakusho also released two movies, showcasing Yusuke and the gang with more encounters of the demonic kind. Need more information? 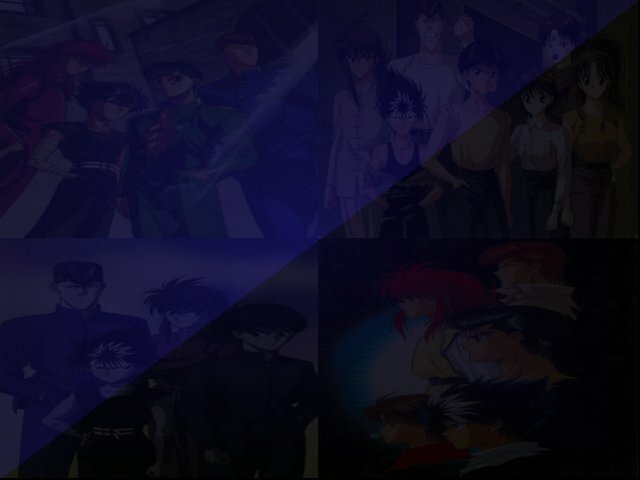 Then we seriously recommend you to visit the Realm of Yu Yu Hakusho Episode Summaries and Photolane pages. It has every single detail you need to know about the story of the anime, and what's more, each episode is accompanied with quality screenshots that will make your reading much more enjoyable.